The Allotment of the Promised Land to the Hebrew people has a spiritual, historical and practical purpose. The conquest of Canaan was, for the Israelites one of survivability; they needed a sustainable land to settle as a replacement for the fertile soil of Egypt they had fled from a generation earlier. For God, this was the place that was to remain holy, set aside, on the hands of His people, until the coming of the Redeemer, Jesus Christ the Messiah. In the pragmatic reality of military strategy, the Army of God required a solid base of operations, invariably the high grounds of Samaria, to protect its inheritance. The critical condition for success was for the people maintain holy; to be kept separate spiritually and naturally. Tolerance of the Canaanites or any not belonging in that land given by God was the toleration of evil; it was disobedience and sin. In today’s dispensation, there are no chosen peoples other than those that have been redeemed by the blood of Jesus Christ. There is no races or peoples to be exterminated. In this dispensation of the Church Age (post-resurrection), God does not want war or bloodshed. God does not wish to war on other human beings, but He wants Christians to wage spiritual warfare on sin. Nevertheless, the real boundaries that God delineated for His people, and particularly the city of Jerusalem, remain active. God will never change that. The Palestinian two-state solution may be but a “final solution” just as in the Holocaust. Such an arrangement may come in the guise of peace, but it would inevitably usher in destruction for the Jews (as Hitler would have it). Waters of Merom was the most significant and most decisive battle fought since the Red Sea crossing. Joshua 12 summarizes the campaigns from the Wilderness until this point. In the wars from Exodus to the conquest of Canaan, Israel had toppled 31 kings. 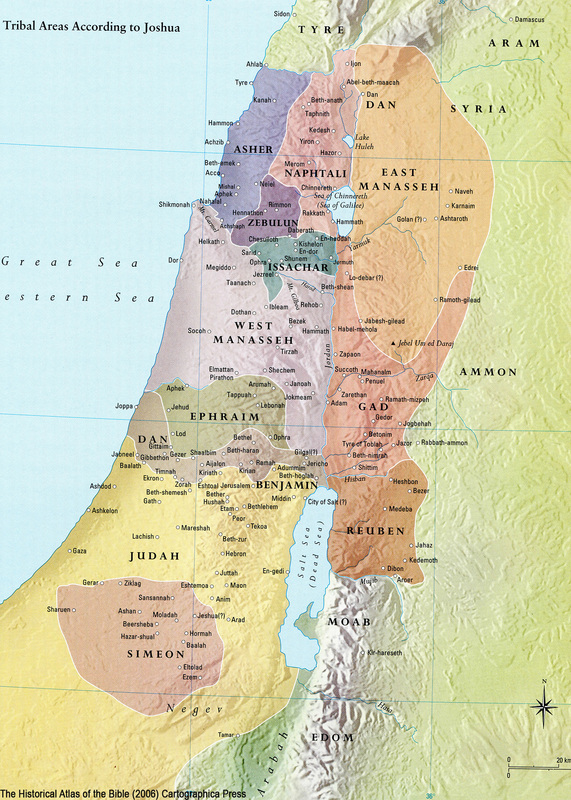 The occupation of the Promised Land after Merom took some time, but it was irrefutable. 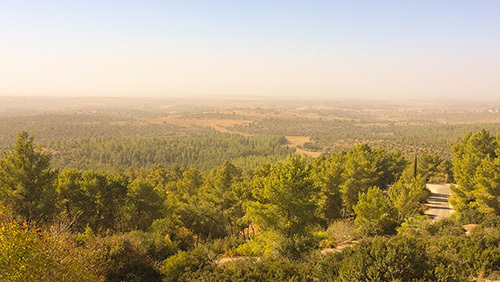 Joshua understood that the Canaanites controlled most of the hill country West of the Jordan. The occupation of Canaan in the centre and south was especially necessary because the Canaanites that remained there commanded the plain regions. 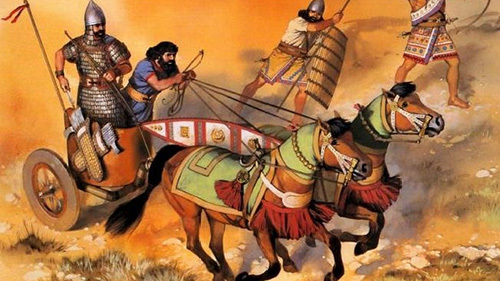 These enemy armies had technological leverage due to their mastery of chariots warfare. It was not until Israel’s golden age as a kingdom that the nation would dare venture into the lowlands en masse. The tribes took over the parts of the Promised Land assigned to them. Judah was able to eliminate all the people in its territory but could not dislodge the Jebusites, who would remain indwelling in Jerusalem. This cohabitation would have later repercussions. Caleb, by now an old man, as Joshua, boasted to be as strong as the day Moses had commissioned him (Joshua 14:11). Caleb was strong because of his faith. The Levites did not inherit any part of the Promised Land, but their inheritance was God. Jesus was a descendant of Levi. 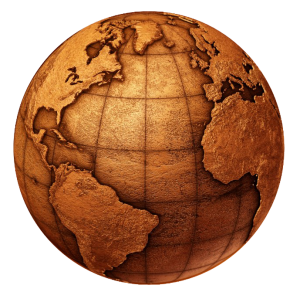 He also relied not on the world but on the Father. The Levites did not have any lands, but they lived in many different cities scattered and were sustained by the other tribes. In like manner, Jesus is today the head of the Church, and we, the spiritual “tribes” are the body. The headquarters of the people moved from Gilgal to Shiloh. The move was strategically sound as Shiloh was in the centre of the land on elevated ground. God fulfilled every single promise made to Israel. It was the stiff-necked characteristic of the Hebrews that delayed the taking of Canaan, but that was on them, not God. God kept His part of the bargain. 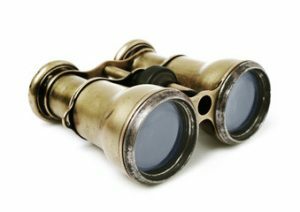 In Joshua 22 we see the Reubenites, Gadites and Manasseh became dissident and left the other tribes to return to their allotment. They built an imposing altar at Geliloth, near the Jordan, antagonizing the remaining Israelites at Shiloh and brought the nation to the edge of war within itself. The nine tribes were ready to kill the three that had departed because of a wrong assumption. They thought that Reuben, Gad and Manasseh were breaking away from Mosaic Law which proclaimed in Deuteronomy that the people were to sacrifice only in one central place (which was now Shiloh). They erroneously deduced that the three tribes were going to use the altar for sacrifice, but this was not the case. The altar was also a symbol of unity, and it was in this spirit that the three tribes erected them; as a remembrance. They were afraid of being isolated east of the Jordan. Joshua 23 records God’s full provision for total occupation of Canaan. Although the people have not reached the Mediterranean Sea, God promises to drive out the occupants of those plains in due course. The tribes kept a relationship with each other per their ancestral alignment. For instance, Dan, Benjamin and Ephraim had their territories close together. They were descendants of three brothers. Ephraim and Manasseh are sons of Joseph (and grandsons if Israel) and get adopted as part of the 12 tribes. 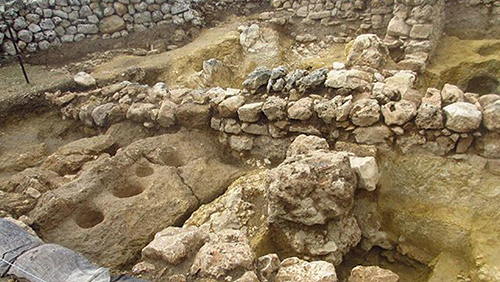 Shechem would become the capital of the northern kingdom of Israel. The name means “shoulder,” probably because the slope of Mount Ebal situated the city. It was here that God made the promise to Abraham. It was the place that God gave to his descendants, and it was where Joshua’s final ceremony took place as he left his legacy to those who would follow him in leadership. At the end of the book of Joshua, the story has come full circle. 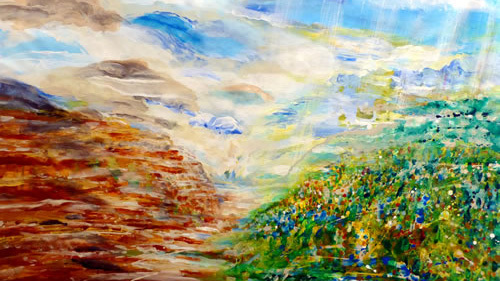 It was from the east of the Jordan River that Abraham had come. He and his descendants had worshiped other gods there. It was in Canaan that Abraham was faithful and began praising the one true God. From that moment on a covenant was made and if the land became holy; it became, in effect the Promised Land. It was set aside for his descendants Isaac, Jacob and Esau. It was here near Shechem 1 that Joshua was buried. Joshua left his people in this natural geographic area and spiritually symbolic. He urged them always to choose the west side of the river, the side of righteousness, The side where God was, where they would have protection and would flourish. 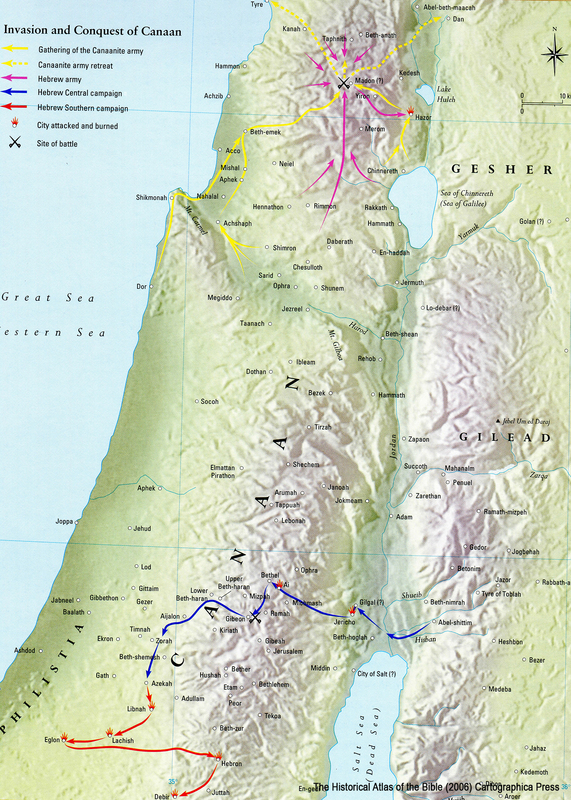 They were between Mount Ebal and Mount Gerizim, between the blessing and the curse. Joshua, a representative of God, could not force the people to choose just as Jesus never forced to anyone. It is up to us to hearken unto the gentle leading of the Holy Spirit and decide to follow it. The people of Israel now had to choose continually to obey God. 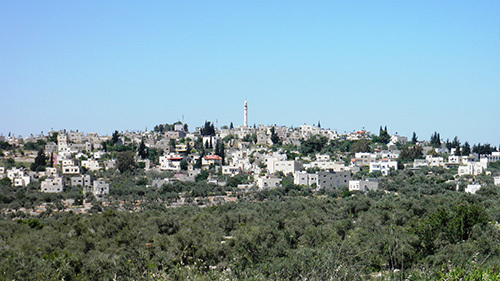 Kifl Haris, Palestinian village south of Nablus northwest of the Israeli settlement city Ariel.